Marks & Spencer is directly positioned in Craigleith Retail Park on Queensferry Rd, a 2.15 mile distance west of the centre of Edinburgh, in Craigleith (nearby Royal Victoria Hospital and Rowanfield Special School). The store is situated in a convenient location to serve the customers of Drylaw, Blackhall, Pilton, Dean Village, Craigleith, Murrayfield, Comely Bank and Muirhouse. Today (Monday), service starts at 9:00 am and ends at 8:00 pm. 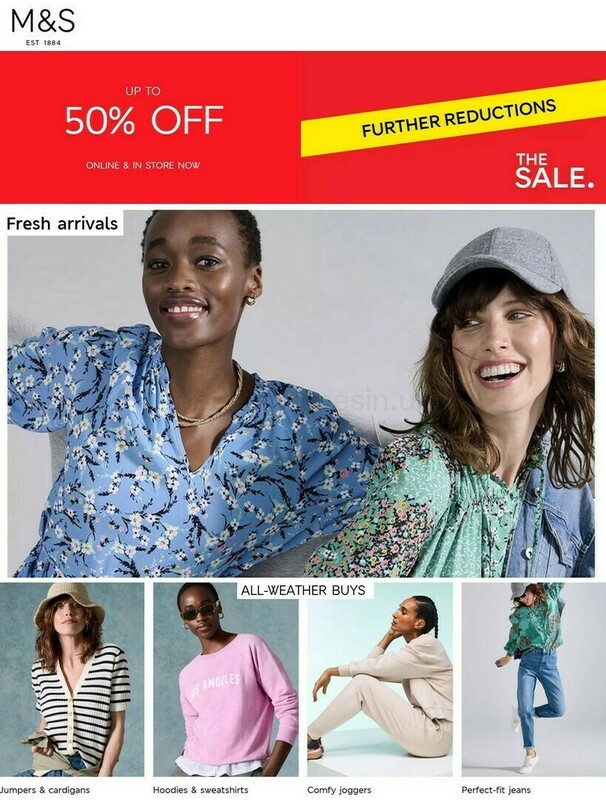 Please review the information on this page for Marks & Spencer Craigleith, Edinburgh, including the business times, address info or telephone number. Marks & Spencer is found in an ideal place near the crossroads of South Groathill Avenue, Queensferry Road and Craigleith Road, in Craigleith, Edinburgh, at Craigleith Retail Park. Only a 1 minute drive from South Groathill Avenue, Craigleith Road or Craigleith Hill Park; a 2 minute drive from Telford Road and Queensferry Road; and a 6 minute drive time from Corstorphine Road, Lower Granton Road and Melville Drive. For GPS devices please enter the postcode EH4 2LN as your destination. Buses stop right at Craigleith Retail Park and Queensferry Road/South Groathill Avenue. Service on routes: 13, 38, 40, 41, 42, 55, 40A, 40B, N55, X54, X55, X56, X58, X59 and X60. If you prefer to travel by tram, alight at Haymarket (1.32 mi) or West End - Princes Street (1.49 mi away). Transportation is conveniently accessible by the line: 1. Patrons may catch the train to Haymarket Station (1.38 mi) and Edinburgh Waverley Station (2.31 mi away). Lines that stop nearby: Caledonian Sleeper, ScotRail, Transpennine Express, Virgin Trains, Virgin Trains EC or CrossCountry. Other interesting places nearby: Ferryhill Primary School, Ravelston Woods, Western General Hospital, Orchard Park North, Rowanfield Special School, Royal Victoria Hospital, Craigleith Retail Park, The Mary Erskine School and Stewart's Melville College. Currently, Marks & Spencer owns 8 branches in Edinburgh, East Lothian. At this link you can display a complete listing of Marks & Spencer stores near Edinburgh. Over public holidays, common working hours for Marks & Spencer in Craigleith, Edinburgh may be limited. For the year 2019 it involves Christmas Day, New Year's Day, Easter or Summer Bank Holiday. We suggest that you visit the official homepage or call the direct line at 0333 014 8555 to get added details about Marks & Spencer Craigleith, Edinburgh holiday opening times. Visit Craigleith Retail Park today for a wide assortment of interesting stores and great offers. At this location additional shops include Sainsbury's, Argos, TK Maxx, KFC, Currys, Pets at Home, Starbucks, Card Factory, Marks & Spencer, Homebase and Carphone Warehouse. It's the Opening Times in the UK team's desire to provide you with the most current information. In the event that you find discrepancies in the location description or operating hours for Marks & Spencer in Craigleith, Edinburgh, please make use of this form to report a problem. Below, you can voice your opinions of Marks & Spencer, or use the star scale.